Teaching is not a lost art. 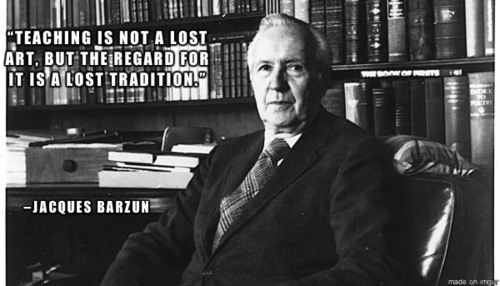 But the regard for it is a lost tradition. To watch a football game is to be in prolonged neurotic doubt as to what you’re seeing. It’s more like an emergency happening at a distance than a game. Baseball is a kind of collective chess with arms and legs in full play under sunlight. Science is an all-pervasive energy, for it is at once a mode of thought, a source of strong emotion, and a faith as fanatical as any in history. Simple English is no one’s mother tongue. It has to be worked for. Schools are not intended to moralize a wicked world, but to impart knowledge and develop intelligence, with only two social aims in mind: prepare to take on one’s share in the world’s work, and perhaps in addition, lend a hand in improving society, after schooling is done. I’ll read, and then I’ll take naps. When I feel sleep coming on, I give in and don’t fight it. Whoever wants to know the heart and mind of America had better Any time I break up with Dawson or question him, viewers turn against me. Jacques Martin Barzun was born in Créteil, France. He was a French-born American historian. Focusing on ideas and culture, he wrote about a wide range of subjects, including baseball, mystery novels, and classical music. He was also known as a philosopher of education. He published more than forty books. He earned a BA degree from Columbia University in 1927. He received his PhD in Cultural History from Columbia University in 1932. He served as a professor of History at Columbia University in 1937-1975. He wrote several books include: Race, Romanticism and the Modern Ego, The Teacher in America, The House of Intellect, The American University, Pleasures of Music, The Use and Abuse of Art, Simple and Direct, The Culture We Deserve, and From Dawn to Decadence. He was awarded the American Presidential Medal of Freedom. 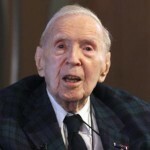 He was dubbed a knight of the French Legion of Honor.